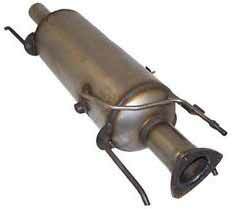 Symptoms of DPF Fault: DPF light on, Engine light on the dash, Loss of power (Limp Mode). Duration: 3 Hours & 30 Minutes. Results: After our complete Alfa Romeo 159 JTD DPF Removal + Smoke Correction session, you can expect to start your vehicle with no warning lights, no smoke and full power being restored. You will also get an increase in performance and economy – the vehicle will be more responsive and smoother to drive. Details: Each vehicle is different and so, we always carry out a full and thorough diagnostic session before and after the DPF removal to ensure there are no more underlying faults which could cause problems in the future. We erase all faults from the ECU and reprogram the ECU to completely de-activate the DPF system and at the same time canceling out all regeneration processes. This means the ECU will no longer look for the DPF and will not attempt to enter any future regeneration cycles. Warranty: All our DPF Removal + Smoke Correction sessions come with a Lifetime warranty and a Guaranteed MOT pass.